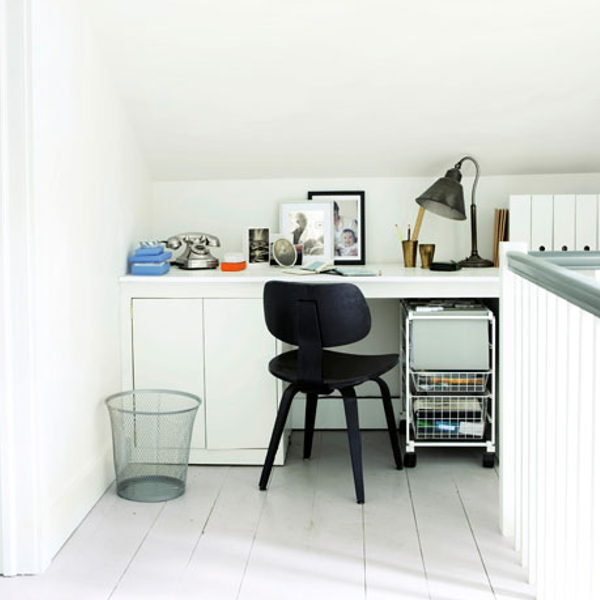 No place for an office? Try these creative projects. 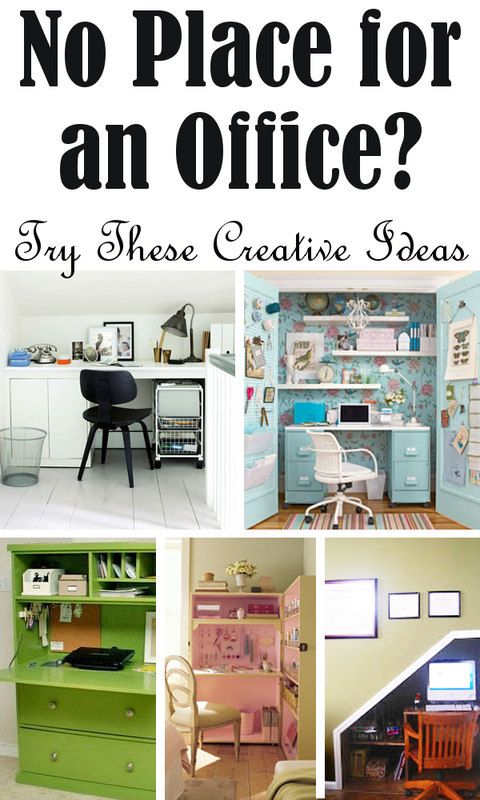 Here are some fun and amazing ideas for creating an office space when you are short on square footage. 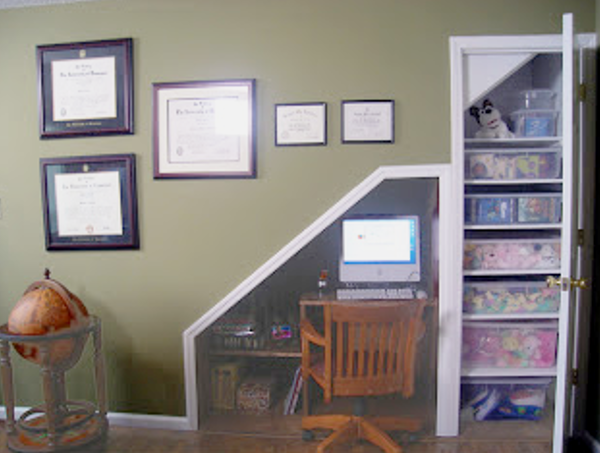 Use the space under your stairs. Look for nooks and crannies like this second floor stair landing. 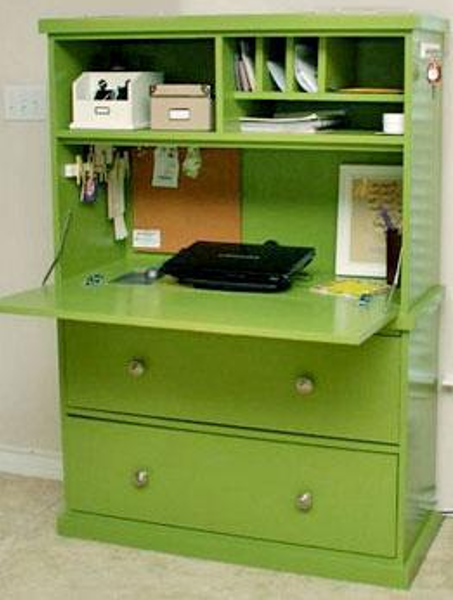 I've been eyeing that Martha Stewart armoire idea for years! Isn't it lovely? I really like the closet office, too... I'm currently thinking about moving my sewing area from the dining room into a closet space. Gwen - Thank you for stopping by. If you do move your sewing area to the closet I would love to see some photos and even post them on on my site if you would like.